Shadow Ball: STAB, good power, high accuracy, decent chance to lower Sp. Def. Thunderbolt: Good power, high accuracy, chance to paralyze, type coverage. Hypnosis: Puts the foe to Sleep. Calm Mind: Increases special stats. Other two don't matter. This guy will wreak havoc with just these two moves. The strategy is, Focus, Focus, Focus, and... BOOOOOOM! @jollypolly89, if he had Guts then Burn would not reduce his attack and he would indeed do more damage. Drifblim isn't so fast, so paralysis is good to outspeed and has higher accuracy but Will-O-Wisp is also an option. Exactly, the point is to allow it to outspeed the foe. The hidden power of a pokemon is decided not by the species, but by Their different IVs. This means that drifblim itself does not have the type fighting of it, but your individual drifblim has it. Hex + Thunder Wave slows and deals a healthy STAB double damage. Hidden Power is fighting type for full neutral coverage. Stockpile gives this guy some bulk by raising both defenses. EVs give it 501 HP, equal defenses and a bit of a SpAtk boost, while the nature further increases its SpAtk. Just to let you know, I removed the huge image, even though it's great. It was taking up more space than you actual answer. For those who don't know, Liechi berry raises your attack by one stage. When he uses that Liechi berry, he gets a boost from Unburder, that doubles his speed. Acrobatics does lots of damage when you get rid of that Liechi berry, so than you can sweep. While Explosion is the suicide approach, but really just a filler. This set is just amazing. With the flying gem, acrobatics becomes awesomely powerful and OHKOs anything in NU that isn't a rock type. It also doubles your speed thanks to unburden. You can now set up a substitute freely, to block any status your opponent might throw at you, or just let it be destroyed. Then, on the next turn, disable whatever move they used on it! Drifblim has 3 fantastic immunities, as well as a 4x resistance to Bug, so many Pokemon in the tier will only carry one move that can hit it. By disabling it, you get another free sub, and can force easy switches. When you run out of HP, you can use destiny bond ( the ultimate troll move ) which coupled with your blistering speed, can guarantee you another KO. With good play, this set can net you at least two, usually three kills per game. It works great in conjunction with hazards, to both take advantage of the switches it causes and get KOs more easily. It also has the handy bonus of spinblocking them, supporting your team even more. The EVs maximise Attack, obviously; by investing none into HP its health is indivisible by four letting it set up four subs in total ( three if you switch in on stealth rock ) and the speed EVs let it outspeed basically the whole tier, even choice scarfed, after the unburden boost. Note that this one has trouble with Rock types, specifically those that carry Rock Blast, since it can break its substitutes and kill it. Even so, destiny bond will help you bring it down with it. I love the versatility of this Pokemon <3 this is for use on rain teams only. Drifblim's amazing movepool and ability make him a fine choice for a rain sweeper. Again, ghost gem lets you get off a heavy hit while also activating unburden and making you super speedy. Other types of gems are obviously an option but I think STAB is usually safer. Thunder is 100% accurate, high power rain abuse; weather ball is too, except it's 100bp, with pseudo-STAB boost in the rain it becomes 150 base power. Unfortunately this set is walled by ferrothorn - it could help to add in hidden power flying over shadow ball, with a flying gem, but that's not hitting ferro very hard either and tbh you might as well use acrobatics. This set doesn't require much team support to run, it can sweep on its own but obviously hazards are nice to nail dem KOs. Ferrothorn deserves a mention, it has awesome synergy with drifblim, can set hazards easily, appreciates drifblim's spinblocking, and is a great fit on any rain team really. The last move, destiny bond, will get you another kill, and often you'll bring down the opponent's choice scarfer making way for a setup sweeper to do its thing. Or Shadow-sneak or Aqua-jet because that would hurt a lot. You cannot be serious, Drifblim has 252 Def EVs and a Bold nature topping that, Why the f*ck would aqua jet do alot? Shadow sneak might do a little bit, but it's not a worry because of the 40 base power, and it's uncommon move anyway. Acrobatics makes a super strong STAB move with Flying gem and it activates Unburden. Sucker-punch replaces what would be Ghost coverage and is Priority. Return is for Power while Body-slam can Paralyze. Explosion is a suicide move that can be very useful while Stock-pile makes you a very bulky sweeper. Will-o-wisp is very useful for status. NOTE: I have tested this guy and have proven him an incredible NU sweeper. Will-o-wisp is great for dropping the opponents attack thus increasing Driftblim's overall bulk. Hex benefits from Will-o-wisp and is great STAB. Thunderbolt has great coverage and if you are very fortunate they will get paralyzed. HP(Ground) is less commonly used than the HP(Fighting) but provides just as much coverage though not over ice. 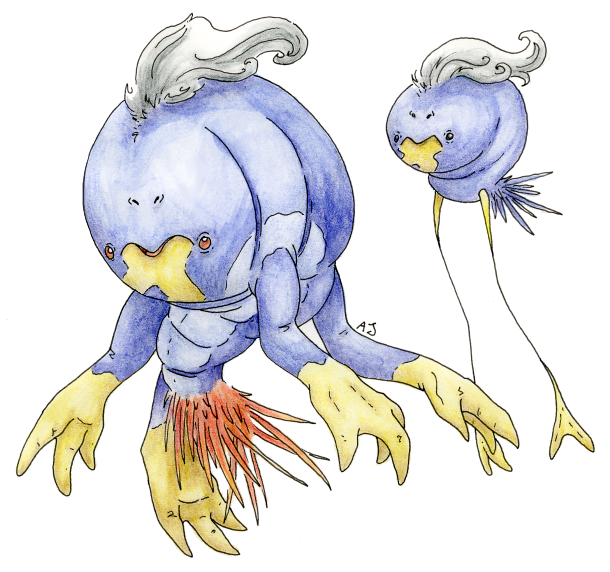 Drifblim Modest Nature (+Sp.Atk - Atk) Item Leftovers EVs 128 Def / 252 SAtk / 124 Sp.Def / 4 Speed Ability Aftermath. Hypnosis: Forces the foe to take a nap on the battle field, also helps out the moves below. Dream Eater/Hex: Dream Eater for recovery, Hex is powered up by sleeping foe. Shadow Ball/Psychic: If Dream Eater is your move above go with Shadow Ball for nice STAB damage, Psychic gives some coverage. Stock-pile boosts your Defenses from bad to decent in 1 move and after anther you are bulky and the 3rd makes you hard to damage. Will-o-wisp further increases your bulk by cutting attack and also serves as a stalling move. Pain-split is your way of healing and damaging. Ominous-winds is mainly a counter to taunt but has a chance of boosting your stats which is awesome but Hex and Shadow-ball are another options in-case you want more power. With Driftblim's huge HP he can make a great wall and a Pokemon that can really drag the match. Pysical attackers will find it hard to do damage if you burn them with Will-O-Wisp and Stockpile 3 times. So you can really afford to use Rest without much to worry about. And once your berry is used up or lost Acrobatics will really hurt due to Acrobatics working well without a held item plus the STAB due to Driftblim being half flying type. use will'o'wisp to burn the opponent, then use boosted hex. this set is designed to be pretty bulky so it can hold up against many attacks. Facade is only their for specially defensive opponents. I use this driftblim in ubers, first use minimise at least twice then substitute (use protect in a sutuation when you need some more time to recover with leftovers) and finally baton pass into an offensive Pokemon. Very basic set, not too hard to understand either. With Mental Herb, it can avoid a Taunt, set up a Substitute and activate Unburden. After the Substitute is up, it can either gather Minimize boosts or Baton Pass this high HP sub to another Pokemon (all this because Taunt fails against Substitute). Disable to stop certain Pokemon from functioning i.e taking full advantage of the fact that some Pokemon only carry one coverage move for it, and Will-O-Wisp to cripple physical attacker and being it's only means of damage. This set works with Aftermath too, just change Mental Herb for Leftovers instead. NOTE: This is not eligible for most Smogon tiers, as it avoids the Evasion clause by using Minimize. A physical set just for an attempt of something somewhat different. Power Herb is for instant Phantom Force usage in order to activate Unburden. Acrobatics provides a good Flying-type STAB move to use afterwards. Toxic wears down opponents and Phantom Force can offer a quasi-Protect for toxic stalling. Alternatively, you could use Will-O-Wisp to slowly deplete the opponent's health while making their physical attacks weaker. Finally, since this set probably won't last too long, Explosion is there for a devastating move once your HP is low enough. Which move is better for drifblim?